The word stance is thrown around a lot in the car community, there are several factors and terms that will come into play when going for stance. The most direct definition is the aggressive fitment of the wheels and tires and how it appears on your car. The factors or terms that come into play mostly for a proper “stance” are: offsets (low or high), wider wheels, stretched tires, camber, flush and fender rolling. The desired look is to have your wheels to sit flush with the fender; there are several factors to achieve this look. Typically this look is achieved by using a wide wheel or rims and stretching the tire to fit; this will give the tire a low profile. The amount of stretch that the tire has is all dependent on how you want it to look, common desired looks are: Tucked, Flushed, and Poked. Tucked is when the wheel and tire are literally tucked under the fender and into the fender well of the car. Flushed look is when the wheel and tire match lines with the fender lines of the car, giving the wheel a look of continuation with the body lines. Lastly, one of the most extreme looks the Poked Look, this is achieved by overstretching the tires to the lowest profile possible and the rim sticks out further from the tire itself. If the wheel is too far in from the fender than desired, you can add a wheel spacer that will push the wheel out a certain distance so you can obtain the correct stance appearance. What also comes into the stance dynamic is the offset of the wheel, which will be explained below. Click Here for a wide variety of wheels in every style, color and size to match your needs. The next important factor that comes into play with achieving the desired stance look is the offset of the wheel (also identified as et). The most basic way to explain offset is the distance between the center of the wheel and where the hub mounting surface. The wheel can have positive, zero, or negative offset, which will be explained below. A positive offset is best defined as when the hub mounting surface is on the street side of the center of the wheel. The offset number is the distance in mm from the center of the wheel to the wheel mounting surface. When looking at wheels this type of offset is usually obtained with a high positive offset. Zero Offset is exactly as it sounds, the hub mounting surface is neither positive nor negative. The mounting surface is exactly at the wheel center. Typically it is hard to achieve a stance with exactly a zero offset, this can sometimes be fixed with wheel spacers, which will be explained later. Negative offset it the exact opposite of positive. This means that the mounting surface is in towards the car further than the wheel center. Typically this will give the rims a deep look. There next step in obtaining the stance you want would be to lower the car. This is achieved by making changes in your suspension system. What this will do is lower the car so the wheels will line up either flush or tucked with the fender. There are several different directions in which to lower your ride. Click Here for all your suspension needs. The first way to drop the car is to install Lowering Springs. 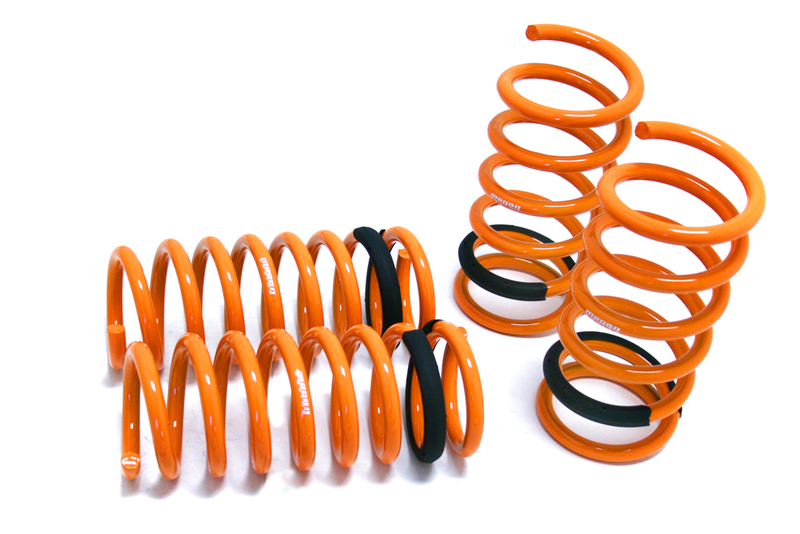 The upside to lowering springs is the relatively low cost when compared to other systems. The down side is they sit at a set height and cannot be adjusted. Typical drop by installing lowering springs is 1-1.5 inches. 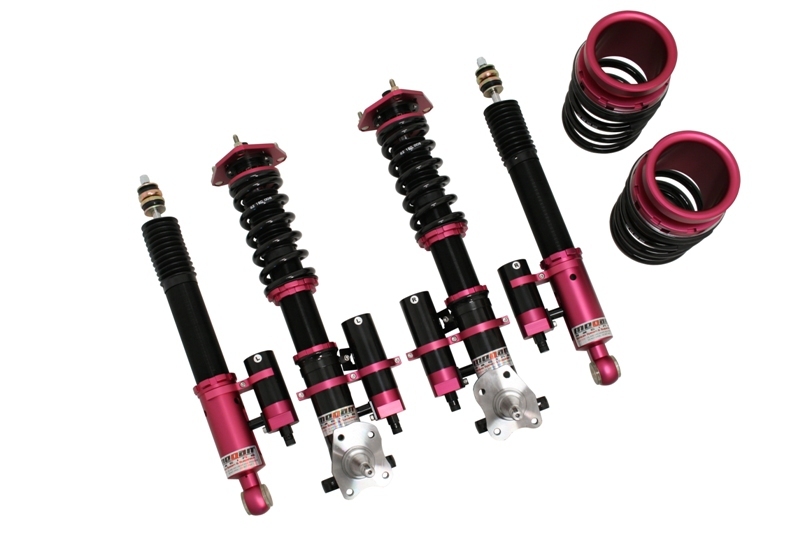 One of the most popular choices for adjusting the car to an appropriate height is by installing Coilover suspension. While they do cost more than the lowering springs, they offer you the ability to adjust height, damper and stiffness. This allows you to fine tune the height for the perfect look desired. The last important part of setting up for a proper stance is the camber of the wheels. To put it simply, camber is the vertical angle of the wheels. It can go as simple as a slight angle to align up with the fenders to extreme cases of a huge angle. To achieve the camber you want, there are two suspension parts to achieve the look desired. Click here for all your camber and suspension adjustment needs. 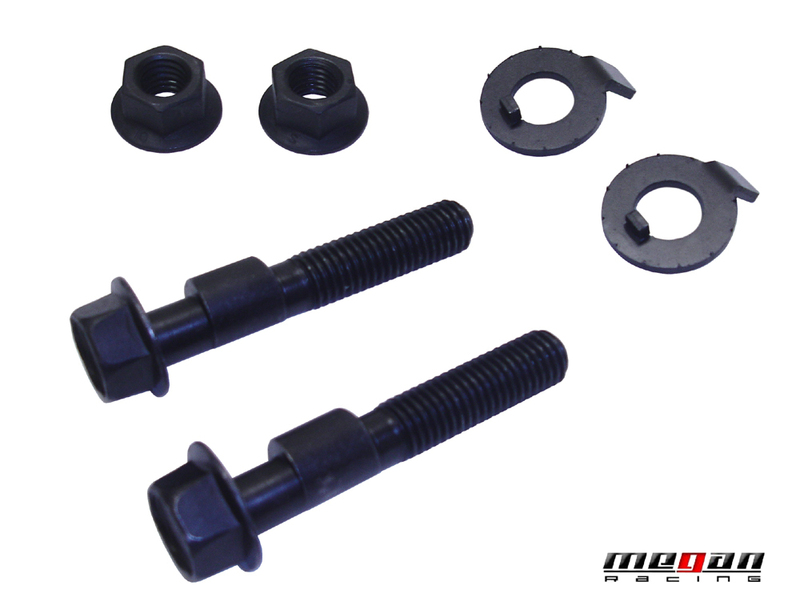 The first option is to install a Camber Bolts kit. These attach in to the control arms (the product will list if it is meant for the front or the rear). For example the ones pictured here are adjustable to 14 mm by how much you insert them by. The other option is to install an adjustable camber kit. 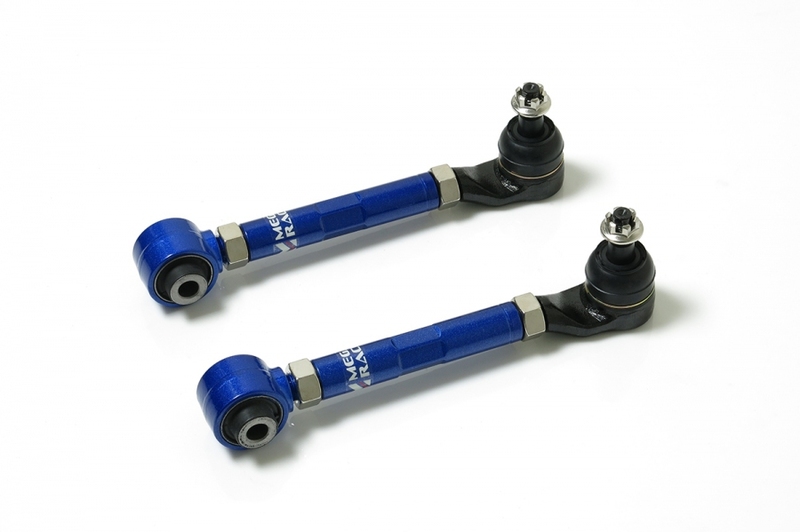 These allow you to fine tune the camber to achieve the exactly perfect stance you want.